We are sure you will find lots to do whilst here yourself - or perhaps lots NOT to do if you are looking for a relaxing break away. We give the following links as a guide for further information about the area and things to do and see. PLEASE NOTE: Some places are only open in summer months and seasonally, please check with the places in case they are closed when you visit. 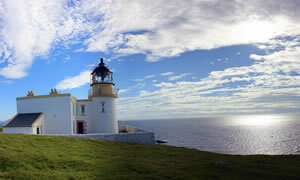 Wonderful lighthouse on stunning view spot looking out to the Minch and Hebrides when clear. Also great spot for wildlife watching and seeing whales and dolphin. 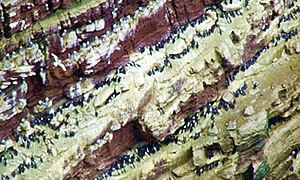 A Scottish Wildlife Trust reserve and the home hundreds of thousands of sea birds including Skua, Guillemot and the iconic Puffin. 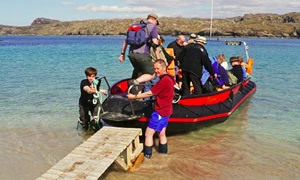 A great wee ferry service that takes visitors out to Handa and back. Please check when they are running so as not to miss a trip back. Looking out to Handa Island, the Shorehouse is a great wee seafood venue serving what the family catch from their own boat and prepare and serve themselves. 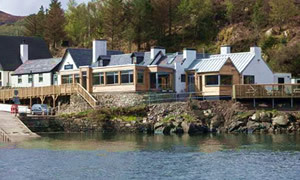 Award winning restaurant located by the old Kylesku ferry ramp overlooking the sea where a lot of what is served is landed. Great for a lunch or evening meal. 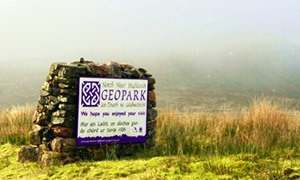 A UNESCO Geopark in the North West Highlands of Scotland. World class landscape, geology and cultural heritage. Visitor center, guided walks and exploration. 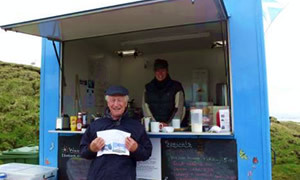 Living the Dream catering van at Stoerhead Lighthouse is a great wee place to stop for a tea, coffee and bite to eat whilst out enjoying the coast. 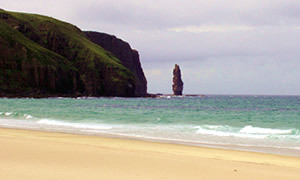 Sandwood Bay is a beautiful remote 1 mile long beach and Am Buachaille, a sea stack, and lies about 5 miles south of Cape Wrath. A great walk. 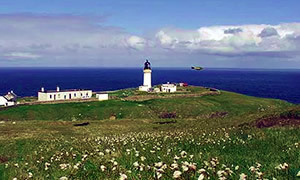 Cape Wrath is a cape in the Durness parish of the county of Sutherland in the Highlands of Scotland. It is the most north-westerly point in mainland Britain. The Bone Caves - Beautiful and popular walk in a limestone valley to the dramatic bone caves. These cave openings part way up a steep side of the valley are where the remains have been found of species such as lynx, reindeer and polar bear which once roamed here. Ardvreck Castle - the old MacLeod castle, standing on an Loch Assynt. Highland Stoneware - famous potters in Lochinver making stoneware and painting items as you watch. Inver Cruises - boat tours working out of Lochinver, seeing dolphin and seal. Clachtoll Beach - one of the fine examples of our white sandy beaches. Achmelvich - another great beach and worth a visit. Kylesku Boat Tours - operating out of Kylesku and taking in the scenery and wildlife of the coast. 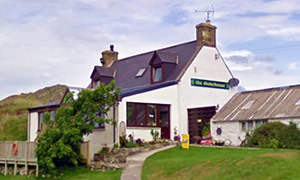 Shearwater Cruises - operates from Ullapool visiting the famous Summer Isles. Norwest Sea Kayaking - Kayaking tours and tuition. Durness Golf Club - most north westerly course in Britain. Hamlet Mountaineering - climbing in the north west, including the Old Man of Stoer. Assynt Angling Information - all you need to know about fishing in the north west and Assynt. Assynt Foundation Fishing and Stalking - guides to take parties and individuals out. WalkHIghlands - guides to walks and climbs of all levels around the region.